It’s Memorial Day, and the beaches and clubs were all packed this weekend. I spent my Saturday afternoon with the Girls on Rooftop@Revere, Revere Hotel | Boston Common. Maybe you got a couple hours in the sun while at a picnic or maybe you’ve got the early stages of Summer Pale? What you do know is, you have a fantastic new dress that you can’t wait to wear. Dressy enough to wear anyplace, short enough to make it fun and it gives you a sultry look that you’re not entirely accustomed to. The best accessory you can give yourself to go with it, is a Bronze Biologic spray tan. It always looks so luxurious when we have a luscious healthy golden tan. Tanning with the sun and UV lights can cause damage to the skin, accelerating the aging process and increases your risk of cancer. Bronze Biologic spray tans are the absolute safest and easiest way to achieve that healthy golden tan that makes us want to bare our skin, not always covering up what defines us with a shawl. A tan gives every woman a little boost of confidence, making her feel a little sexier in the lighter fashions and warmer sunsets. Bronze Biologic is recommended by the American Academy of Dermatologists, The Skin Cancer Foundation and The American Medical Association. It is the only safe cosmeceutical non-toxic tan on the market. There it is, this is the safest way to tan, period. Make an appointment today before you’re tempted to not wear enough sun protection in your new swimsuit next week! We always have amazing products and specials in the spa, be sure to check out our Tan Towels to keep up that golden glow at home. 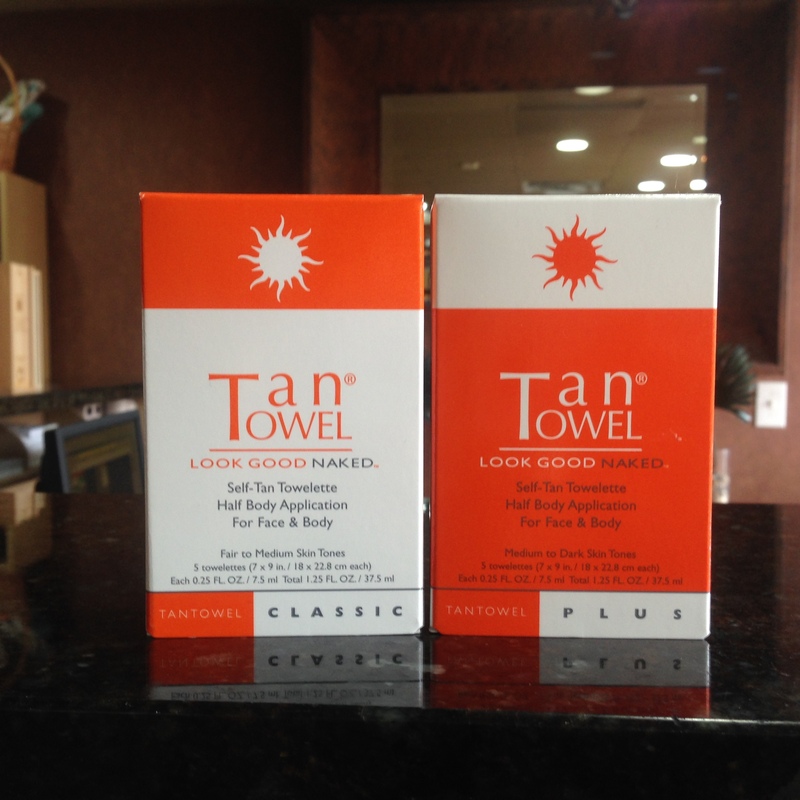 Tan towels classic- $16.25 fair to medium skin (5 pack) or, $17.50 medium to dark skin (5 pack) Don’t forget VIP Members save an additional 5% on all products! ← Mother Nature and the Paparazzi. Both on the Guest List!